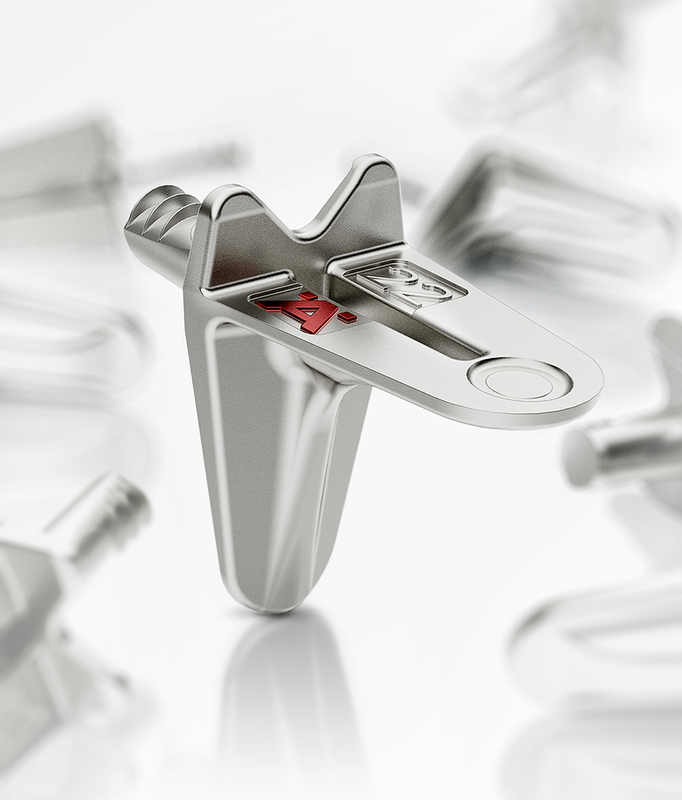 Häfele has the comprehensive product range and know-how about connecting fittings in furniture which has built up over decades. With innovative products which have been developed and produced in-house, the company revolutionises the rational manufacturing of all types of furnishings. Minifix, Maxifix and Rafix are three of the most well-known RTA connectors for the furniture industry. Billions of these fittings set standards, and hold furniture together all over the world. Nothing should interfere with the joy of a beautiful, high-quality furniture item – certainly not the sight of its interior, which 5 mm series drilled holes (for example) are only too happy to reveal. More and more manufacturers of modern kitchens and design-oriented living room furniture are making use of the aesthetic advantage in furniture, and are going over to the unobtrusive, contemporary 3 mm series drilled holes. The demand for high-performance shelf supports which have sufficient load bearing capacity despite their smaller diameter is therefore extremely high at the moment. The 3 mm shelf support from Häfele is characterised by smart construction and outstanding load bearing capacity. It is a further development of the patented shelf support generation for 5 mm series drilled holes. The discreet 3 mm series drilled holes are an aesthetic must in open furniture or furniture with glass shelves. The trend is also going in the direction of less visible drill holes in illuminated shelving and side panels with a light finish. Häfele has developed a performance-optimised shelf support made from zinc alloy for these applications that is particularly suitable for the high quality demands of the furniture industry. It is produced in the Häfele manufacturing plant in Berlin, and has been certified by TÜV Rhineland in accordance with the new European DIN EN 16337 standard for the stability and load bearing capacity of shelf supports. High load bearing capacity in spite of smaller diameter and less use of material? This is made possible by clever engineering, smart design and efficient material distribution. A lug ensures that the slim shelf support is held securely, and also prevents the shelf from being pulled out. A supporting sealing lip provides safety for shelf supports without lugs, even when heavy loads are being supported. A transparent plastic buffer has been developed for securely holding glass shelves which will keep the glass in place and prevent it from moving. The optimised shelf support with the Häfele brand design is suitable for securing shelves made from wood and glass in furniture. 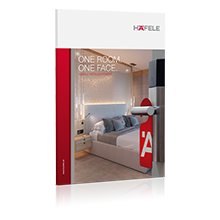 Häfele is fulfilling the considerable demand from industry for 3 mm shelf supports with this product, which well-known brand manufacturers are successfully using in their furniture. The Häfele development engineers have developed an extremely durable shelf support generation with a two-tier support for 5 mm series drilled holes, and patented and tested it in accordance with European standards. This shelf support minimises the amount of shelf lowering, and the wedged ribs in the drill hole prevent the fitting from being pulled out if heavy loads are being supported. This clever design gets top marks, particularly in the event of dynamic loading. Installation is child’s play: The shelf support is inserted into the hole at a slight angle, and then the shelf is placed on top of it. The weight of the shelf then pushes the arm flush against the side panel. When this occurs, the twin grooves drill themselves into the wood and prevent the shelf support from slipping out. These 5 mm connectors impress with their extremely slimline and appealing design, which makes them ideal for high quality furniture construction. Like the 3 mm shelf supports, they are produced by Häfele Berlin for the furniture industry using innovative tools and machine technology. Häfele covers all application cases with this family of shelf supports. The 3 mm shelf support with the Häfele logo makes a visual statement with its slimline design and efficient material distribution.